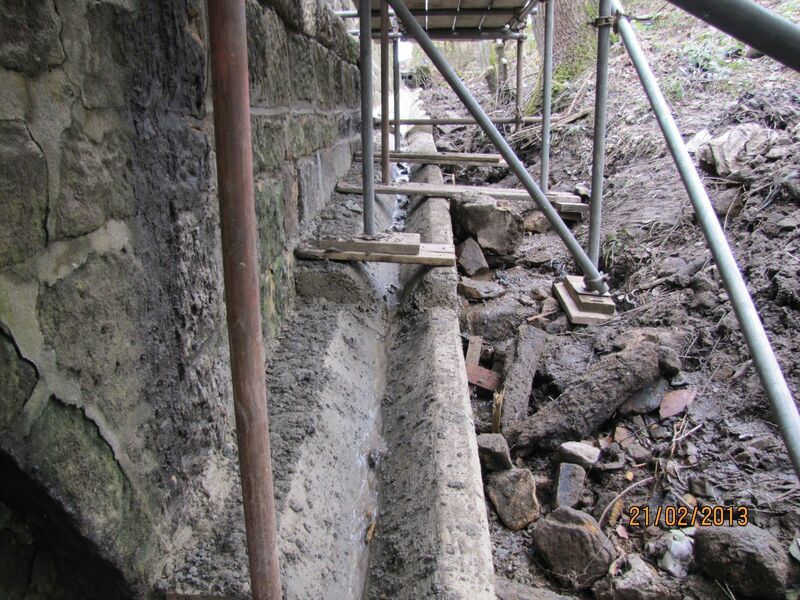 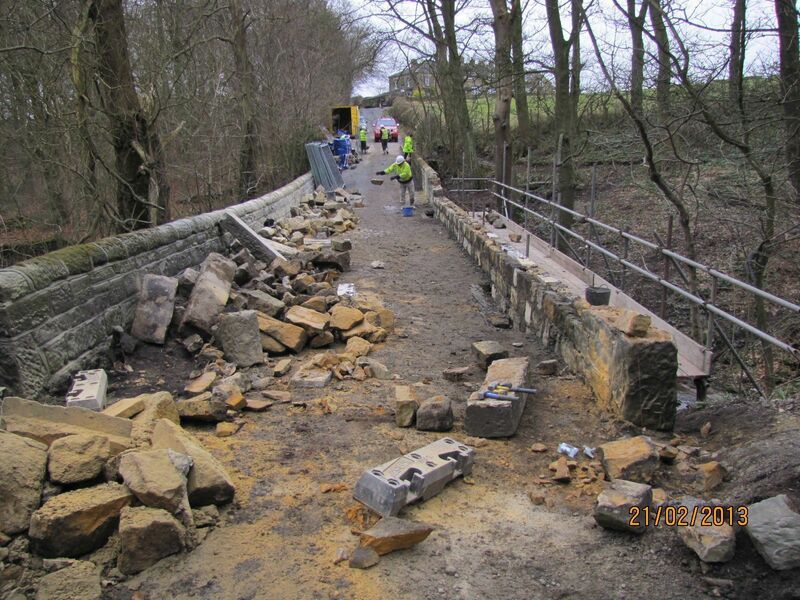 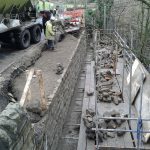 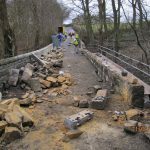 Following closure of Dean Lane for a three week period, Ram Services Limited’s masonry team dismantled the defective length of parapet and retaining wall each side of the arch barrel, and then reconstructed the wall with a concrete backing to the correct alignment. 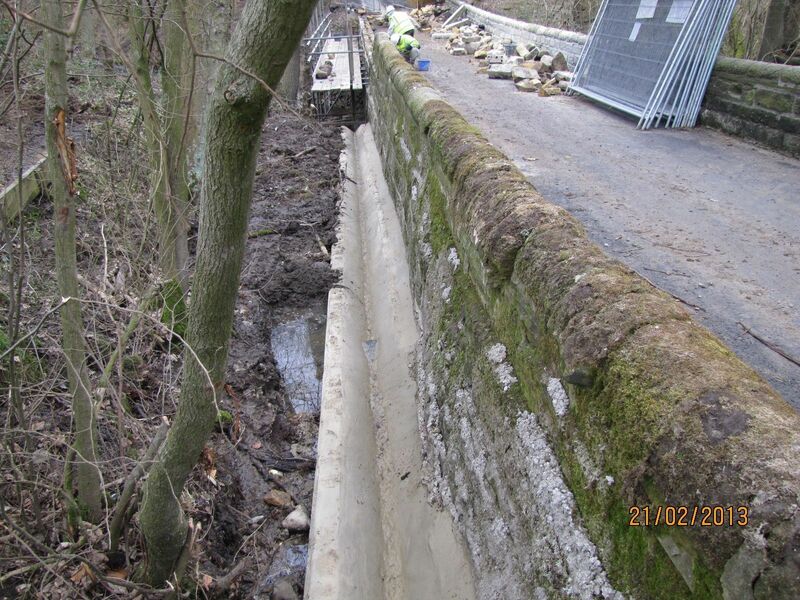 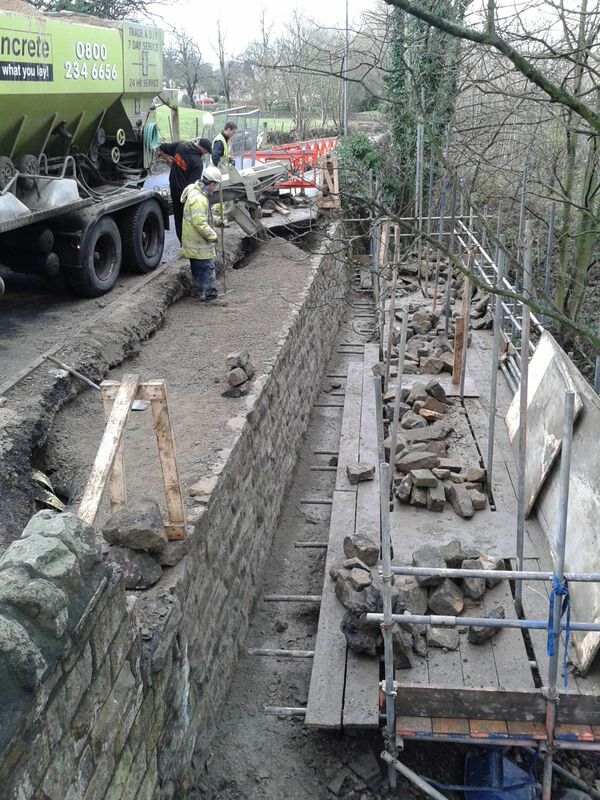 The parapet was then rebuilt and weepholes installed to assist drainage from the road surface. 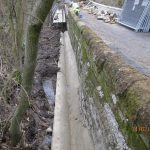 To combat future problems, a V shaped concrete drainage channel was constructed along the base of the wall to intercept an existing watercourse and direct the flow into the stream below the bridge. 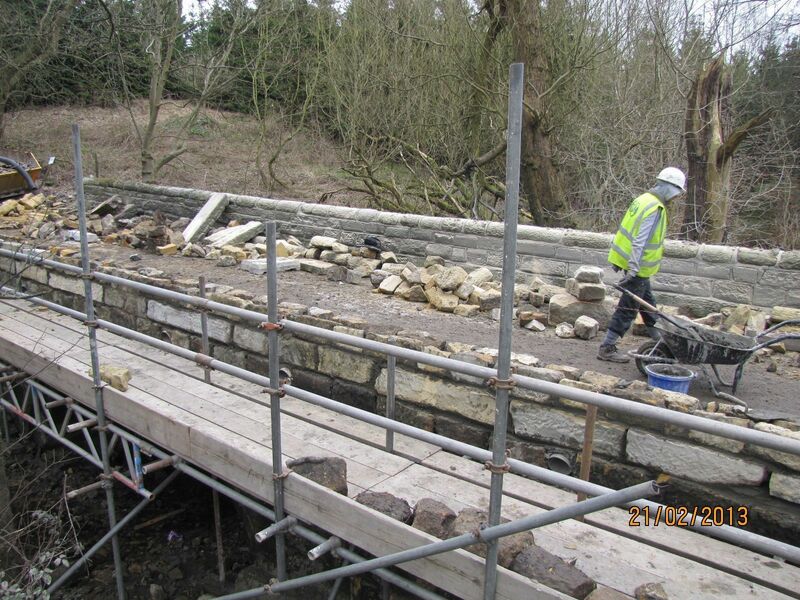 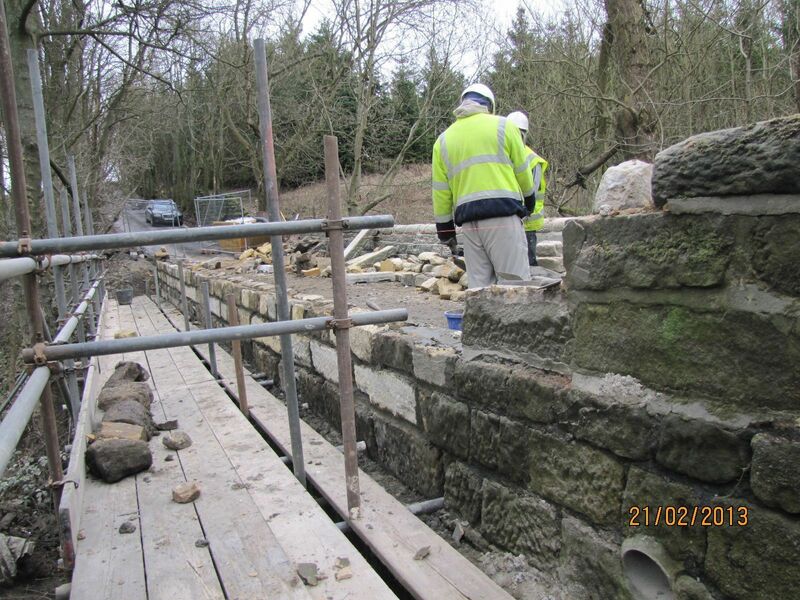 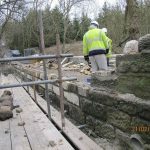 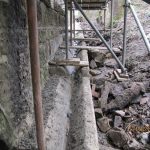 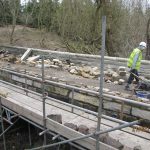 Additional work carried out included local repointing to the arch barrel and spandrel on the opposite side of the bridge, and re-profiling of the channel bed to ease stream flow through the arch.